Costa Rica will welcome the Toughman Half Iron Series to Puerto Viejo on its Caribbean Coast on October 21st, 2017. The triathlon race is only for trained athletes and is highly competitive with qualifiers from the competition eligible for the 2018 International Championship to be held in New York the following year. 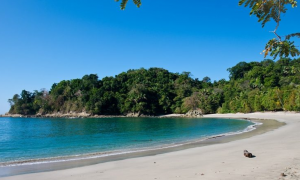 "Toughman comes to Costa Rica"
Richard Izzo, the founder of the Toughman races said, "Puerto Viejo is a small town that has a wide variety of beaches around and surrounded by lush nature…this makes for a great race vacation." The organizers were also impressed by the town’s proximity to the Cahuita National Park and the Gandoca/Manzanillo Refuge for those who’d like to make the race part of a trip to the area. This is the third Latin American venue to be added to the competition’s itinerary with Antofagasta in Chile scheduled for the 7th of July this year, and Vera Cruz, Mexico on April 2nd, 2017. These international dates should bring more athletes into the Toughman competitions. The Toughman’s standardized format has led to its growth in popularity with child and teen categories also added to the scheduling to appeal to younger participants. Tagged sports, things to do.